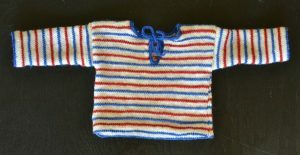 Super cute and warm free baby cardigan knitting patterns! Pippi Longstocking from Ullcentrum! 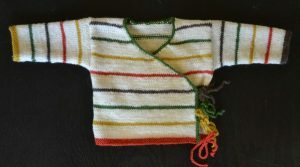 Cute and easy to knit wrap cardigan in striped stocking stitch, so cute and warm, perfect for babies.